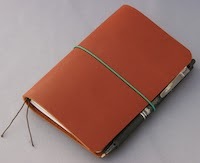 Are You New to the World of the Traveler Notebook? – If Not Now, When? Top 10 Part 1: My Top 10 Washi Sampler Shops on Etsy – If Not Now, When?